Apple's September iPhone 6 and iWatch Event! Big news! Yesterday, Apple hosted its September 2014 iPhone 6 and iWatch Event! We can’t wait to try out all of the new tech products below! Especially the new app Apple Pay which could come in handy on small purchases at big events! When we look at the iPhone 6 and 6 Plus, the first thing that we notice is the significantly larger screen size with iPhone 6’s 4.7 inch screen and the iPhone 6 Plus’s 5.5 inch screen with rounded edges and a camera lens which protrudes the phones body. We can also note the phone’s thinner and lightweight body! New Camera Specs: include an 8MP iSight camera with 1.5 micron pixels and a f/2.2 aperture. The new camera has the capacity to shoot 1080p videos at 30-60fp using continuing auto focus, perfect for covering live events on social media! The front-facing camera feature offers users a burst mode and single shot HDR and HDR videos. 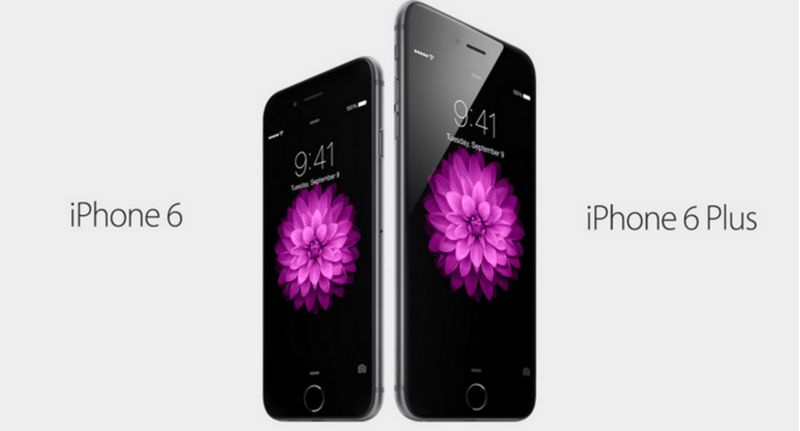 Both phones will come with iOS 8, with the iPhone 6 starting at $199 for 16GB and the 6 Plus starting at $299. Both phones will be available to ship on September 19th, pre-orders starting on September 12th. Apple has introduced a new payment process called Apple Pay! Apple Pay uses NFC and Touch ID to confirm purchases, with users using their Passbook App to browse through their credit cards after verifying the card with their bank. Apple Pay creates a one-time device-only number which protects the user’s credit card number in the event of theft and allows the user to suspend payments without the hassle of canceling their credit cards. This tap-and-go style payment is similar to the R.F.I.D. style of payments used for a number of large events! The most exciting announcement at the Apple Event was the unveiling of the long awaited iWatch! The iWatch will act, not only as a watch (accurate within plus or minus of 50 milliseconds), but also serve as a competitor of popular fitness devices like Jawbone or Fitbit, with its equipped heart monitor, gyroscope and accelerometer. The iWatch will also include Siri and a navigation system known as digital crown. Apple will also open the WatchKit SDK allowing third-party developers to create additional functionalities on the Apple Watch. Style: The iWatch will come with various customizable options including six types of strap and two metal frame colors, in three different collections: the original Watch, Watch Sports, and a 18k gold Apple Watch Edition. The iWatch will be available early 2015 with prices starting at $349. and since we love events! Tim Cook wrapped up the unveiling declaring his profound love and involvement in music, before welcoming U2 to perform on stage as well as giving out the bands latest album “Songs of Innocence” free on iTunes (offer lasts until mid-October 14th). Which products are you most excited about?! Our personal fave is the Apple Pay! Let us know on the links below or on Facebook and Twitter!